J Triangular is our seventh Curatorial Resident, co-sponsored with Residency Unlimited. J Triangular is a Colombia-born, Taiwan-based curator and artist. During their residency, J is creating a weekly episodic video program called THE WHOLE WORLD IS WATCHING, a weekly webseries that responds to the lack of critical attention given to women living with HIV. Each episode features activists and artists in New York City discussing their work and the ongoing urgency of the HIV/AIDS epidemic, centering queer voices and women of color. On Saturday March 30, J will host a live taping of the fourth episode of THE WHOLE WORLD IS WATCHING at DCTV, featuring critical conversation and live music. More info here. For more information about J's past work, read their introductory blog post here. 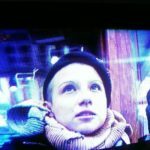 In this episode, filmmakers Jean Carlomusto (DIVA-TV) and Alexandra Juhasz (WAVE) discuss their video activism, the value of collective video production, and the importance of archiving activist history. The episode also features activist Kelly McGowan reflecting on the life of Visual AIDS Artist+ Member Chloe Dzubilo (1960-2011). While looking through the Visual AIDS Archive, Kelly speaks about Chloe’s band The Transisters and about her and Chloe’s AIDS activism. In this episode, Sasha L. Franco (Voces Latinas) and Shirlene Cooper (Visual AIDS Artist+ Member) introduce the Three A's—Activism, AIDS, and Art—at the Women's Health and Activism Summit in Queens. They speak about their own experiences with AIDS activism, the work they do to support other women, and the power of art. The episode also features experimental videos by Marguerite Van Cook (Visual AIDS Artist+ Member) and Diego Barrera (Celestial Twins collective with J Triangular), featuring Mappo Klampaiboon. In this episode, Lina Meruane (writer), Katherine Cheairs (filmmaker) and Wanda Hernández-Parks (activist) discuss their work around women living with HIV. The video begins with a discussion of "Female Disappearance Syndrome," or the lack of representation of women in narratives about HIV/AIDS, and continues to consider how the state exacerbates health inequalities through exile, criminalization, and incarceration, ending with a reflection on the ongoing work of activists fighting to end the epidemic.